One day in 2010, I saw all three of my cats back away from a brown spider which had come in under the door. Immediately, I knew this spider was different than all others in Missouri I had seen. Puddy, my killer-cat, would not touch this spider, nor would Vladimir or Miho. The stores were out of the spray to kill these. I found two more in the apartment that summer. One had died in my clothes closet. This one was in the hallway. I took off my wooden clog and smashed it. It was a Brown Recluse Spider. I asked the maintenance man if there were Brown Recluse in Maryville. He said yes, all over, and these spiders lived under the wood chips around the apartment complex. I had first seen one in Mississippi when I went down to help after Katrina. A man I knew pointed one out to me on his broken trees in his backyard. He owned a bayou which had been ruined by the hurricane. 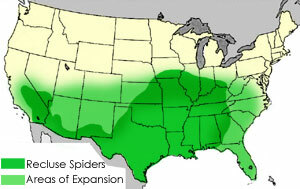 Brown Recluse are also in Iowa, and a girl was severe ill in Bettendorf after being bitten a while ago. I have seen these spiders in Iowa as well. Like my cats, if you see one, back off. The bite causes huge damage and death. There are sprays which kill these types. I know a man who was bitten by one of these spiders. I saw the sore on his leg. It had spread from his inner thigh all over his leg. I do not know what happened to him. He was a carpenter and was working on houses after Katrina. The spider is easy to spot. These creatures are all brown. The Brown Recluse has been in Malta since 1940. 76,251 babies killed, in 2011, in New York City! This is absolutely consistent. Every time I write about the evil of Catholic politicians who present themselves for Communion, my computer acts up. I frequently lose the entire article or comment. No kidding, and every time I write something on Humanae Vitae, the net goes down, or, again, I lose my work. This is to be expected in a contracepting culture. 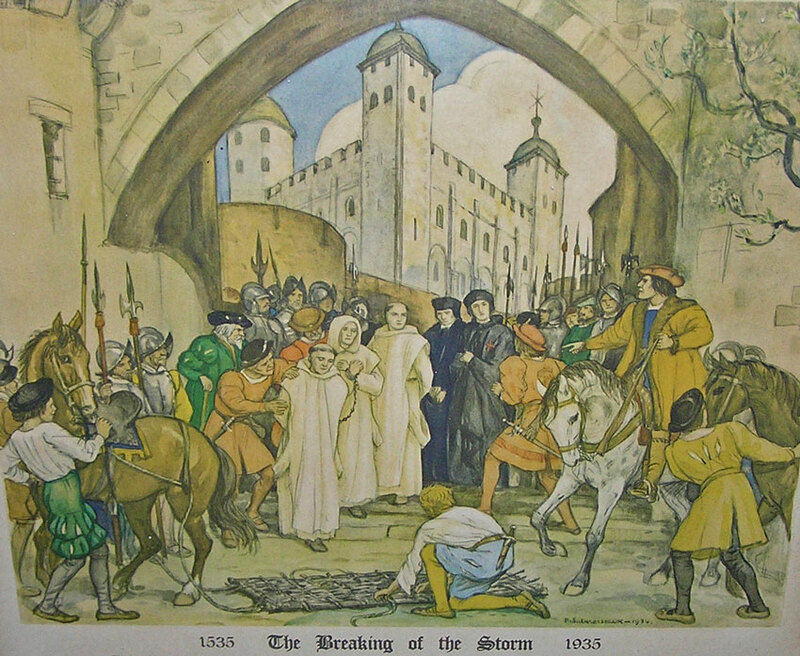 St. Catherine of Siena Besieged by Demons, ca 1500, Anonymous; Wikimedia Commons. For the past four years, and especially when I have been here in Malta, it has been clear to me that God wants me to live a contemplative life. As some of you know, I tried Tyburn twice and the lifestyle was simply too hard for me physically. God is calling me to be a contemplative in the world. I have known this for quite a while. Through many sources of inspiration and guidance, my way is clear-active contemplation moving into passive contemplation. However, I need stability to do this. I, again, plead with my readers to pray for me for this stability, as a permanent place, and the means to live even a simple life, have been a challenge. I need a place, a little cell which is just my own. On top of that, like two people I know, I would like to be able to have the Host reserved in that little cell. 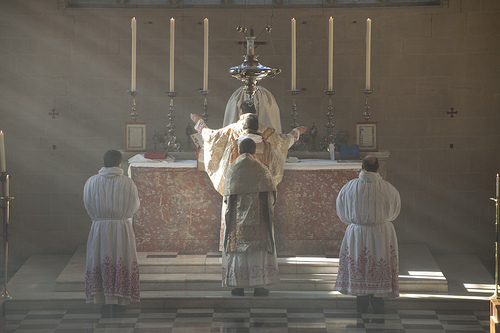 In addition, I need the ability to get to daily Mass, for my own salvation and purification. Please pray for this real need. If God wants me to live the life of charitable prayer which feeds so many of you who need to live the outward life of justice and righteousness, I must be somewhere. I must move away from the outward to the inward lifestyle. But, I am not a disembodied spirit! Please do not stop praying for my staying here on this continent. The darkness is growing, so there is more need for one little candle, one small light, which is fed by contemplative prayer, not merely for my own salvation, but for you, the Church Militant. The Church desperately needs contemplatives now. The more small lights, the better. I think God wants my readers to pray for this need, and I ask out of deep humility and trust that you will join me in prayer. I am still working my way through Raissa's Journal and will share more tomorrow. I have read this book so many times, but like all classic spiritual works, one learns so much on each subsequent reading. Does anyone believe in the religion of peace? Please pray for I, a young man who is having severe stomach problems from an unknown cause; for E who is ill again; for two men with cancer; for several families experiencing fallen-away adult children; for a new job for E; for P who is very ill again; for M who is having trouble in his relationship with his parents; for all those who are alone and especially for women who need protection. Please also pray for A, A, and V who are into false seers big time, and for all priests supporting ssm, priests whose minds and hearts need to be changed. Also, pray for all those parents who delay baptism for months and months, which is wrong, just for the sake of a party. And, for those parents who have never baptized their children-for conversion. ..about a photo I am using, this is not so, --- having that photo removed a long time ago. There are no photos or pictures on that post. Edmund Campion and Thomas More were real men. Their westering was interior. When I read The Red Pony, I can feel the blood of my ancestors rising and saying to me, "Keep going. Never stop. Reach your goal." What have the Illuminative State and the Unitive State have to do with Catholics in this time of coming trials? Some readers understand that only those who truly love God and His Church will be able to withstand the tribulations to come. And, this fact has always been so in times of trouble for the Church. The great martyrs, such as St. John Houghton and his companions, mentioned many times on this blog, were ready for the horrible torments they suffered at Tyburn. But, the ability to withstand physical pain and endure martyrdom to receive the palm of victory are not the only reasons for pursuing the way of perfection now, in these times of uncertainty. As I have noted many times, the Church realizes a strength and perfection if Her members are perfected, and experiences weakness and loss, if Her members do not pursue the love of God in all things. But, the Illuminative and Unitive States of the saint do much more than strengthen the Church. These states bring God into the midst of humankind. Because in these states, the person is one with God as far as possible on this earth, there is a unity of God and person in the Trinity. In other words, God is present in the person experiencing this transcendent relationship, and that person is in God in all Three Persons, Father, Son and Holy Spirit. Such a transcendent relationship cannot help but change the world, as God is Present in, with, and through the person. The person communicates God to all. This powerful experience of the Divine brings life, God’s life, to the world in an overflowing of love. Of course, the problem is that most of the time, the world does not want this love and purposefully thwarts those who bring the Trinity into its midst. Such is the irony of the human condition, that the very persons who could and do change the world are usually the ones persecuted by the world. That God reveals His attributes to the person in these states means that the person experiences, understands and lives in beauty, truth, wisdom, peace, and so on. Such is the witness of the saint. That some people do not experience this oneness with God, this spiritual marriage, until right before death does not diminish the witness. However, as we see in the lives of the saints, those generous souls who have allowed God to perfect them give us a tremendous witness of love and grace. 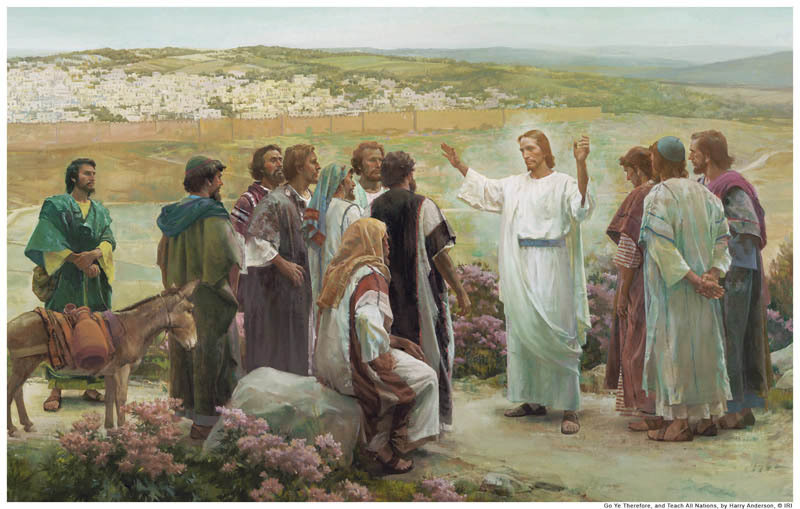 Just think of the cloud of witnesses, like Theresa, the Little Flower, Gemma Galgani, Edmund Campion, Oliver Plunkett, Pius X, Fulton J. Sheen and so on--these men and women who give us a glimpse of life in the Trinity. There is too much facile theology floating around about living in the life of the Trinity. That we are given this life in baptism and confirmation is true, but that those graces can only be released through purgation of sin and the tendency to sin is also true. 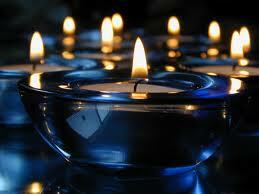 You will know if you are in the presence of one who is in the Illuminative or Unitive State. You will know if you are in the presence of a saint. Sadly, this does not happen often enough in our day and age, as there are so many choices and so many distractions for most people. I have met many people in the Dark Night and even the last stages of the Dark Night. I saw twice, and touched once, Blessed John Paul II, but before his long purgation and suffering. I believe we watched him become a saint. Some readers may have met saints, even some who have been martyred. Those Catholics are role models for all of us. As to the main thesis of this post, that these states most likely are necessary for Catholics to withstand the coming persecutions, I would say that those who went before us were a bit smarter at reading the signs of the times. I cannot imagine that the earliest Catholics were caught off guard concerning trials. 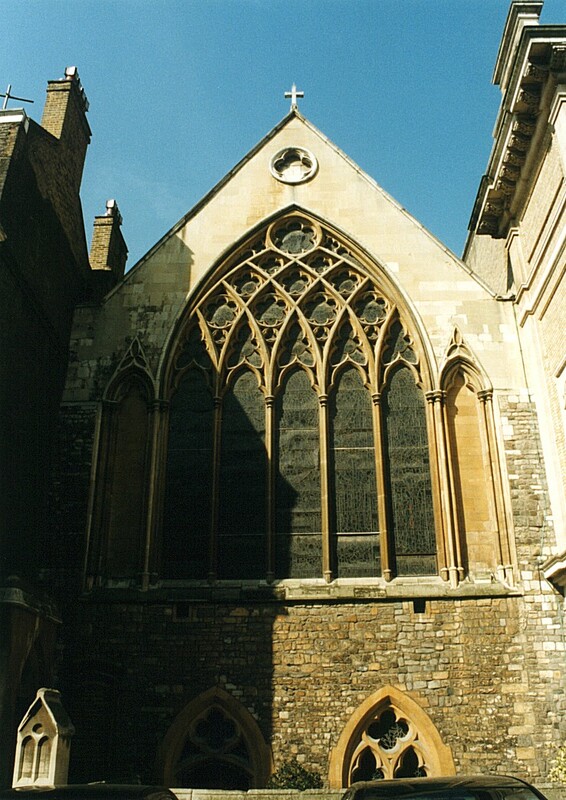 And, it is obvious that such saints as Edmund Campion were trained to face the certain death when leaving the Venerable English College in Rome and traveling to England. As some of you know, St. Philip Neri would stand outside the Venerabile and bless those young priests going to England, saying, “There go the Flowers of the Martyrs”. Are you preparing yourself and your children for trials by pursuing holiness, which is another word for perfection? Are you too caught up in trivia to make holiness a priority in your family? Are you all pursuing sports, entertainments, unnecessary shopping, vacations, and ignoring prayer, formation, penances, frequent confession and Holy Communion? Are you acting as if your children will not need to be different, special, super-Catholics and saints in the days to come? Do you think they will face a world like yours and mine growing up? Are you forming saints? I see too many families wasting time on trivia. Such are the actions of the perfect, those who have gone through the Illuminative and Unitive States, and bear witness joyfully to the vision of the Trinity in the world. I have met many people lately who are acting as if they have all the time in the world to pursue holiness. I have met too many people who are in denial regarding the signs of the times. And, these people are not young. I have met too many people who think Catholics can live in America or Europe with the freedoms experienced by their forefathers. I have met too many people who are wasting time and may be swept away, and compromise when the going gets tough. For the past several weeks, the urgency of allowing God to make one holy has been a recurring theme on this blog. God is pouring out His grace and mercy on us now. The time of grace will end. Look the history of the Church. Do not think you can act as you have always acted. Let these ideals be your guide. Be open to suffering anything in order to become one with God. Be generous is saying yes to graces God wants to give. Be willing to be different than all those around you and your families-even other Catholics who are not paying attention. 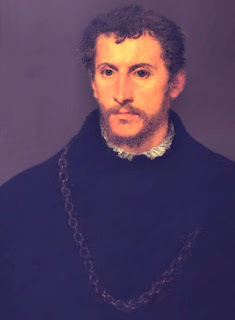 "to crie alarme spiritual against foul vice and proud ignorance"
St. Edmund Campion in his writings referred to the "proud ignorance" of the new Protestants, who refused to learn the teachings of the Catholic Church or renounced these. One could use the term "arrogance" as well. All those who hold in their hearts some rebellion against the teachings of the Catholic Church must look at the reality of a stubborn refusal to look at the truth. A person who refuses to learn does so at the risk of losing his own soul. Because we are all made in the image and likeness of God, with free will and the intellect, God calls us to use both daily. In this way we either become more like God, having, as St. Bernard of Clairvaux states, kept the image but lost the likeness in Original Sin, meaning humans lost grace, or we become less like God. We grow in holiness or we slid back into sin and death. Pursuing God, we grow to be what He created us to be. This growth, and the recapturing of the state of innocence lost by our first parents, leads to humility, which allows each one of us to learn, and finally, arrive at perfection. Humility drives out proud ignorance. Obedience to the teachings of the Catholic Church drives out proud ignorance. Timely words from a great saint and martyr challenge us today. One in twelve people in Great Britain are Catholic, which means about five million people. Only one million attend Mass regularly. Great Britain is a missionary country greatly in need of both vocations to the priesthood and to the married life. I know some families with lots of children-they are SSPX families. I do not know large Catholic families outside the TLM parishes. Why? We know the reason is the general rejection of Humanae Vitae and the refusal of so many priests to preach the truth about this encyclical. Missionary countries need strong men and women to catechize and be good examples for the rest of the society. In a missionary country, one cannot sit back and pretend that the status quo is fine. Sadly, even some missionary priests from missionary orders are not as strong and upfront as they should be with the Faith. That the Church was persecuted for hundreds of years here makes a difference to the pysche of some people. There is a fear culture about religion which does not exist in the States, yet. That fear culture here is based on the history of persecution and on too many "mixed marriages". Catholics are afraid to be Catholic. One can hope and pray that the next generation, who are chosing to live the life of Faith more outwardly than their parents can turn the tide. But, it will take something more than a generational change, it will take another persecution to make the Church grow and be strong here. God has His ways to bring people to themselves and to salvation. We must pay attention, pray, decide, act. 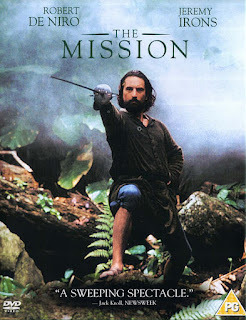 Pray for missionaries. Pray they are allowed into England. I have been talking and writing since 2008 about the very hard times to come for Catholics and others. The signs of the times are what people have seen before, and the Christians in Rome faced similar serious difficulties. Too many Catholics are living in cloud-cuckoo-land. Many Catholics are not facing the signs of the times. Everything is not alright and things are not going to get better. If you are still living in denial, let me warn you that you must stop hiding from reality. The only way to deal with very difficult times, such as war or displacement, is to become a saint. St. Benedicta of the Cross did not become a saint overnight. She prepared through prayer and sacrifice for her ultimate sacrifice-martyrdom for her people. Most of us are not making holiness a priority. How will you react when things get rough? Those saints who have gone before us learned to become mentally and spiritually tough. Such men and women at St. Margaret Ward, St. Edmund Campion, St. Oliver Plunkett were unfairly judged, tortured and put to death. To face this and the death of dear family members, just as SS. Felicity and Perpetua had to watch those in their community and finally die together, one must allow God to do three things. One, replace hatred, anger, sloth, and all the deadly sins with love and the other virtues. Without living a life of virtue, you and I shall not remain faithful to the end. Second, teach your children and help older family members see the need for true holiness now and not wait. Help others prioritize their faith through prayers, adoration, Mass, frequent confession. Time is short for having the capacity to find and enjoy the sacraments locally. Three, learn to hear the Voice of God and not other voices. God speaks through the truths of the Catholic Church, but you can also learn to hear His Still Small Voice and respond quickly. If you knew there was going to be a hurricane, like Katrina, in your area, you would prepare. So, why are you not preparing now? Parents, why are you acting as though the future of your children will be the same as your lives have been. Why are you pretending that they can be raised like you were raised? Why are you not forming saints now? You are responsible for the souls of your children. Since the summer of 2008, when it was becoming clear that we did not have much time, I have been trying to learn how to cooperate with grace more and more. I have tried to teach and to write the Truth of the Church and of Christ. Even in 2008, I did not think we had this much time to prepare-five years. A European perspective has shown me that things will not limp along into a semi-stage of loweriing standards of living. No. We shall soon see chaos in the West. God has given us a time of mercy as told to us by Saint Faustiina. Those who preach good times are false prophets. If you have not changed your easy lifestyle, do it now. Tomorrow, at the Feast of Duns Scotus, we shall see this mysterious reading from the Gospel about being prepared. Many of us do not understand what Christ is saying here. Let me help unravel this. It seems as though Christ is referring to business and money deals. He is not. He is speaking of our souls and our sinful states before God. The steward had charges brought against him. He did not feel sorry for himself, nor did he defend himself. These charges may have been true or false. Those facts do not matter. But, if we see ourselves as the steward, we see that we are always guilty sin and, therefore, deserving punishment. What do we do when faced with our sins? We go to the saints, we go to the Church, we go to the sacraments, and prepare for death, for judgement. We do not waste time. Survival for us is eternal life in heaven with God. All these survival videos and deals are temporary measures in a crisis. These are good and fathers can discern in families and in communities how to use these. But, the real survival video would be about the Gospel of Christ and the way of perfection. This is a passage on using your gifts and those of the Church, to be prepared for the near future. 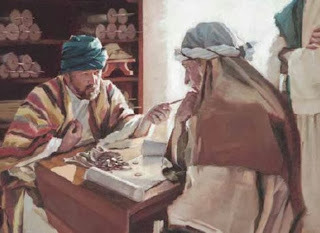 1 He also said to the disciples, "There was a rich man who had a steward, and charges were brought to him that this man was wasting his goods.2 And he called him and said to him, `What is this that I hear about you? Turn in the account of your stewardship, for you can no longer be steward. '3 And the steward said to himself, `What shall I do, since my master is taking the stewardship away from me? I am not strong enough to dig, and I am ashamed to beg.4 I have decided what to do, so that people may receive me into their houses when I am put out of the stewardship. '5 So, summoning his master's debtors one by one, he said to the first, `How much do you owe my master? '6 He said, `A hundred measures of oil.' And he said to him, `Take your bill, and sit down quickly and write fifty. '7 Then he said to another, `And how much do you owe?' He said, `A hundred measures of wheat.' He said to him, `Take your bill, and write eighty. '8 The master commended the dishonest steward for his shrewdness; for the sons of this world are more shrewd in dealing with their own generation than the sons of light. The shrewdness to which Christ is referring is spiritual shrewdness. This steward made his survival a priority, using his wits and connections to live. We must do the same in the spiritual life. Our connections are grace, the Church, the saints, the orthodox Catholic community. Stop wasting time with football on television, or soccer games, or re-decorating the house yet again, or anything else which is material. Do not pretend you have much time to become a saint, and to help your family members become saints. Why is it that other people besides Noah and his family did not hear God? Why is it that they perished in their sins? Because these people were not listening. 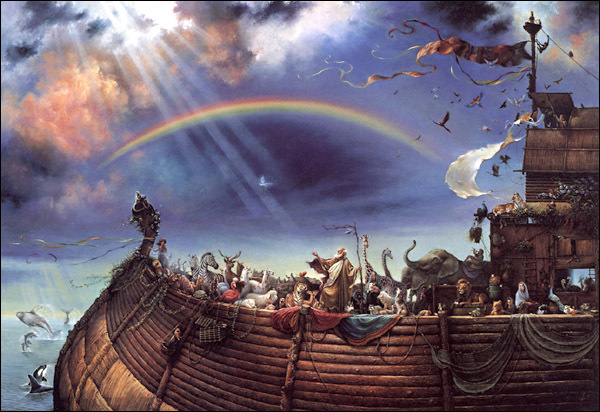 People laughed at Noah. They will laugh at you and your family. Listen. I know many people who are listening. Are you one of them? 36 "But of that day and hour no one knows, not even the angels of heaven, nor the Son, but the Father only. 37 As were the days of Noah, so will be the coming of the Son of man. 38 For as in those days before the flood they were eating and drinking, marrying and giving in marriage, until the day when Noah entered the ark, 39 and they did not know until the flood came and swept them all away, so will be the coming of the Son of man. 40 Then two men will be in the field; one is taken and one is left. 41 Two women will be grinding at the mill; one is taken and one is left. 42 Watch therefore, for you do not know on what day your Lord is coming. ET asked me to do a short exegesis today. This is it for him and for you. Today is the Feast Day of St. Edmund Campion. The students at Stoneyhurst would have had a day off today. I wonder if they still do. Some of the saint's relics are there. Here is his famous "Brag" to celebrate the day. He was 41 when he was hung, drawn and quartered for the Faith and the Church. St. Edmund, pray for us. See also the first reading for the Mass of St, Edmund Campion below. My charge is, of free cost to preach the Gospel, to minister the Sacraments, to instruct the simple, to reforme sinners, to confute errors– in brief, to crie alarme spiritual against foul vice and proud ignorance wherewith many my dear Countrymen are abused. 5) If they do not address, as Campion notes, proud ignorance, which is another phrase for the stubborn refusal to learn the teaching of the Catholic Church. And, to benefit from that refusal, as did those who benefited in the Protestant Revolt in England with money and status. And the great Archbishop Chaput has something to say concerning this theme.